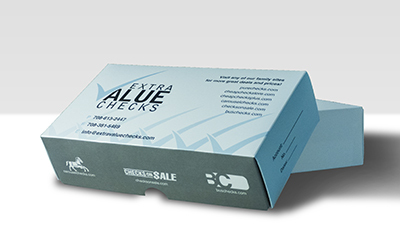 "Stylish Skulls Side Tear Personal Checks" product is already in your cart. 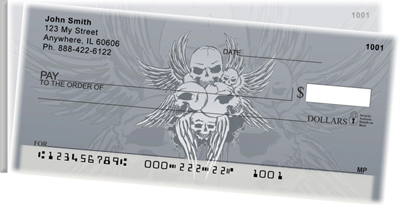 Stylish Skulls Side Tear Personal Checks feature a cluster of skulls with wings attached on a gray background. Each image of the stylish skulls is from a different angle.